Need Your Drain Jetting In Sussex, Surrey, Kent, Hampshire Or London? Drain jetting is a very effective method of unblocking drains from stubborn grease, sewage, soil, silt etc. Sometimes Drain rodding is not sufficient to clear drains as they don’t always reach the problem or force the blockage further down the drainage system. Our high pressure water jetting equipment can negotiate bends and go deep into the pipe to exert powerful jets of water which will clear the pipe of all debris. Drain jetting can be used on all types of drains and blockages. We use different jetting heads for different jobs including tree root removal, descaling, grease removal, hydroscrubbing etc. All our drain technicians are fully trained, City & Guilds Accredited and work to the highest industry safety standards. 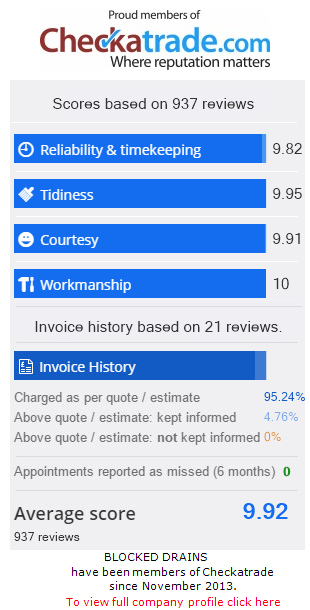 We don’t charge a call out fee and after diagnosing the problem we will give you a set price to clear your blocked drain before we start work so you will know exactly how much it will cost before we begin work. Restore your drain to full free flowing condition. Call DrainBoss Plumbing & Drainage Tel: 07772 535248.